The patient is first given comprehensive information about the objectives and risks of the procedure on the day of the first consultation. A written record is kept of this. One day before the surgical procedure, the patient is again given comprehensive information on two separate occasions: once by the surgeon and once by the surgical resident. All the risks are set down in writing at this time. Severe blood loss requiring a transfusion of blood or blood components occurs rarely. An autologous blood donation may be very sensible for obese patients and for extensive reconstructions of the abdominal wall. It is possible to avoid damaging the internal abdominal organs by carrying out an ultrasound examination before the operation and by ruling out hernias. Otherwise, if there is an umbilical hernia, the abdominal cavity may be opened up during the dissection of the navel. As the wound surface is large, the patient must be made aware that postoperative bleeding, hematomas, and wound-healing disturbances may occur following the operation. Therefore, the operation must be performed in the hospital, careful postoperative wound checks must be carried out, and thrombosis and antibiotic prophylaxis must be given. 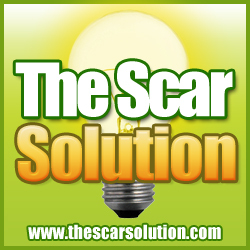 If the scars are taut, they may enlarge and this may result in thick, distended, discolored, painful scars.